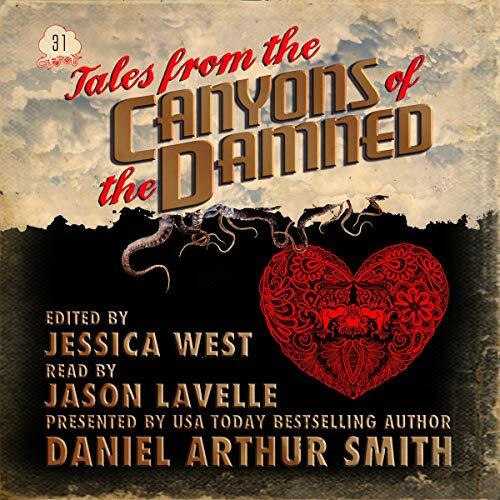 This thirty-first issue of Tales from the Canyons of the Damned consists of five sharp, suspenseful, thought provoking short stories - each from a different featured master of speculative fiction. Tales from the Canyons of the Damned (canyonsofthedamned.com) is a dark science fiction, horror, and slipstream magazine we've been working on since 2015. What is Dark Science Fiction and Horror? Think of it as a literary Twilight Zone, Night Gallery, or Outer Limits, it's Netflix's Black Mirror and Amazon's Electric Dreams in the short story format. And it's a bargain. Each monthly issue has three-to-five sharp, suspenseful, satirical tales from today's top speculative fiction writers. These are Dark Sci Fi Slipstream Tales like you've never read before.